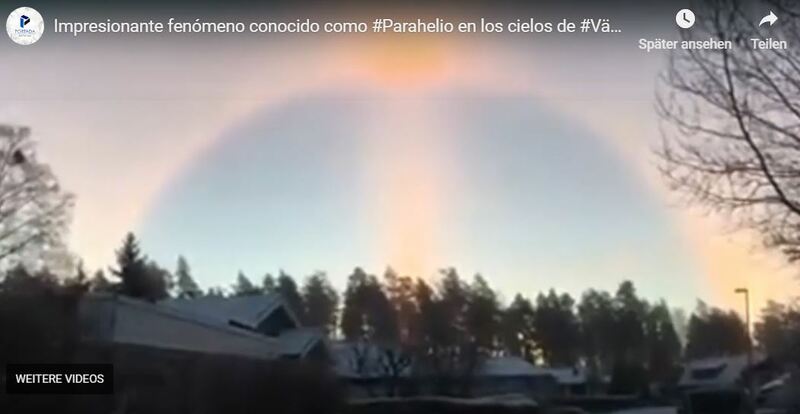 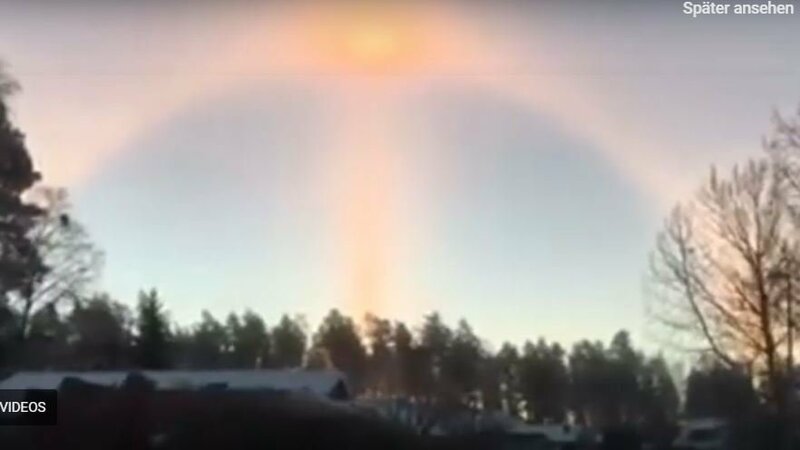 This sundog captured in the city of Västeras, Sweden is just magic… And the Arch at the end of the video ist just transcendental! 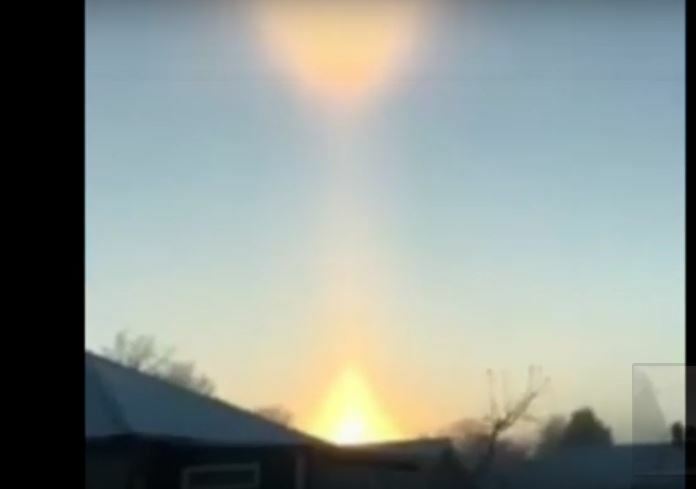 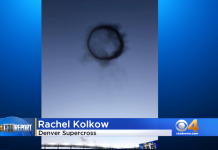 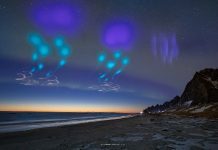 A sun dog (or sundog), formally called a parhelion, is an atmospheric optical phenomenon that consists of a bright spot to one or both sides of the Sun. 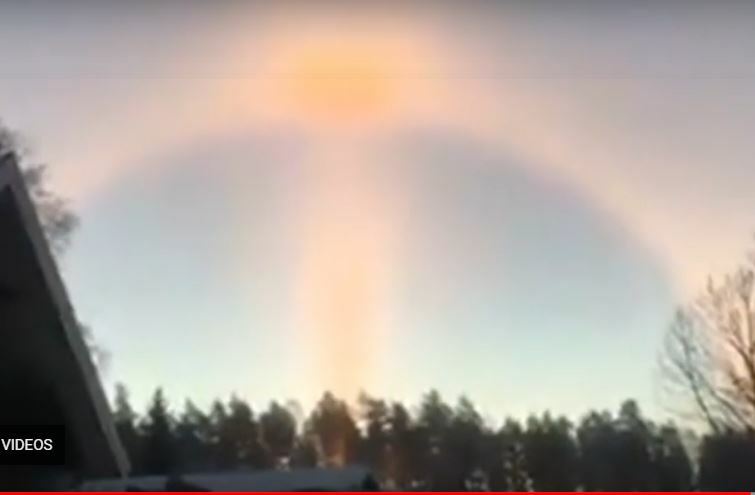 Two sun dogs often flank the Sun within a 22° halo. 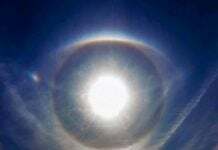 The sun dog is caused by the refraction of sunlight by ice crystals in the atmosphere.